There’s still room in the boat. Help us fill it! 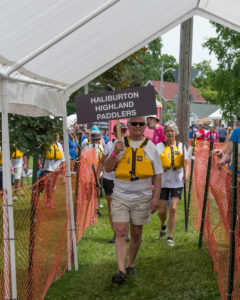 Sponsor our team Haliburton Highlands Paddlers! 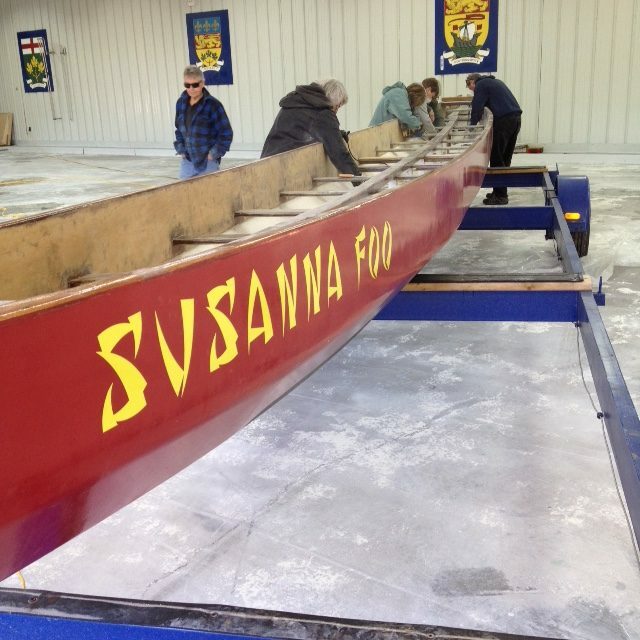 We could only dream of warm, sunny weather on the water paddling the Susannah Foo. 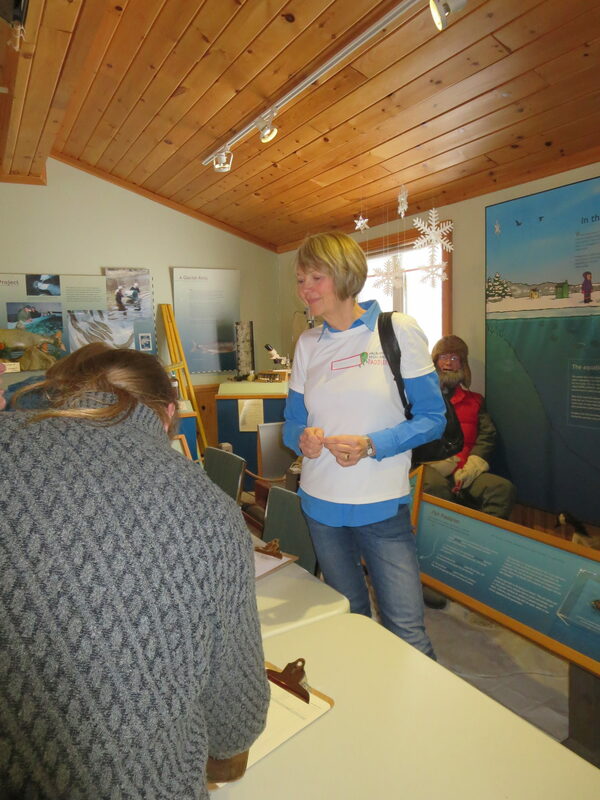 On a wintery day, 22 enthusiastic people came to the Open House on February 4th at the Fish Hatchery. The meeting opened with the introduction of the Management Committee. Two new members, Ginny Carmichael and Gabrielle Holmes have been added as ‘members-at-large’. Welcome Ginny and Gabrielle, so glad to have you on the committee. Tony Taylor has come on board as Equipment Support and Scotty Boyd stepped down from the committee, although he will still coach. Elli Armstrong has had to take a break from her role as Chair and that spot will be taken on by the rest of the committee. 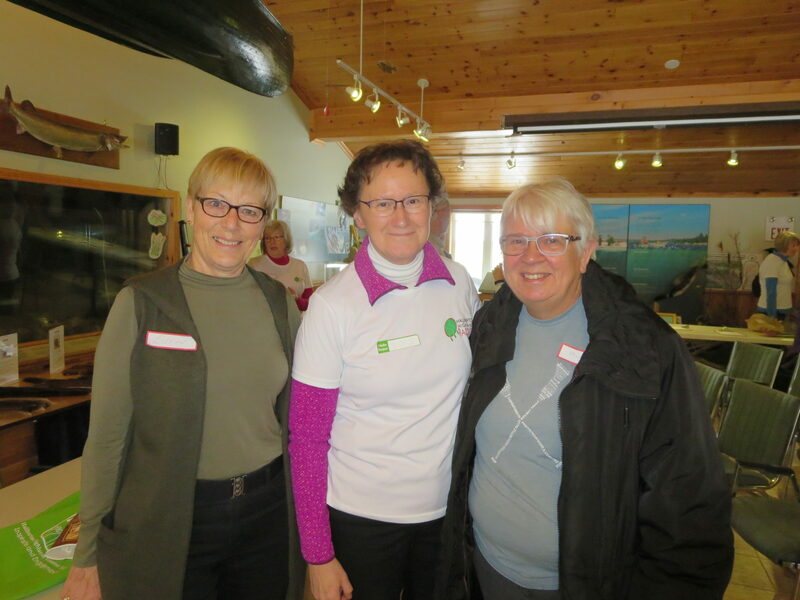 Members at Large: Carolyn Ellis, Ginny Carmichael, Gabrielle Holmes. Coaches: Lois Deacon, Scotty Boyd, and Marg Cox who came on board this past year. Janine Papadopoulos had to take a break for 2017 and we hope she will be back in 2018. Monday and Wednesday; 7:00 – 8:30 a.m. and 5:30 – 7:00 p.m. Sundays will now be available for special practices, rentals, special events but it will not be a scheduled time for practice. A recap of the 2017 season made us realize how much fun we had and how busy we were. We had 55 members. 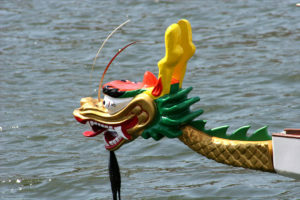 There was the wedding of two of our members who came together because of dragon boating. 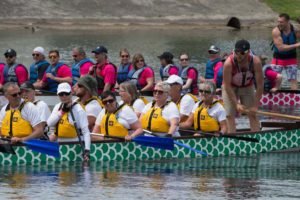 A crew of our members and some special friends happily paddled the wedding party from our dock at Patient News to the venue at the Head Lake Park band shell. The “Foo” was resplendent with her new (to us) head and tail. 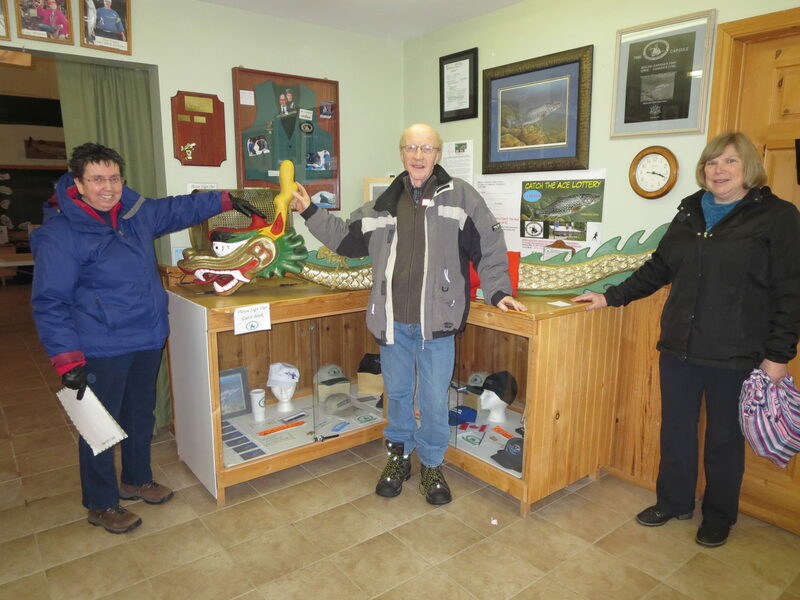 Carolyn Ellis managed to find a head and tail and acquire them. Thank you so much Carolyn. The “Foo” now looks wonderful. We are planning to have some of our members train to be extra Steerspersons. 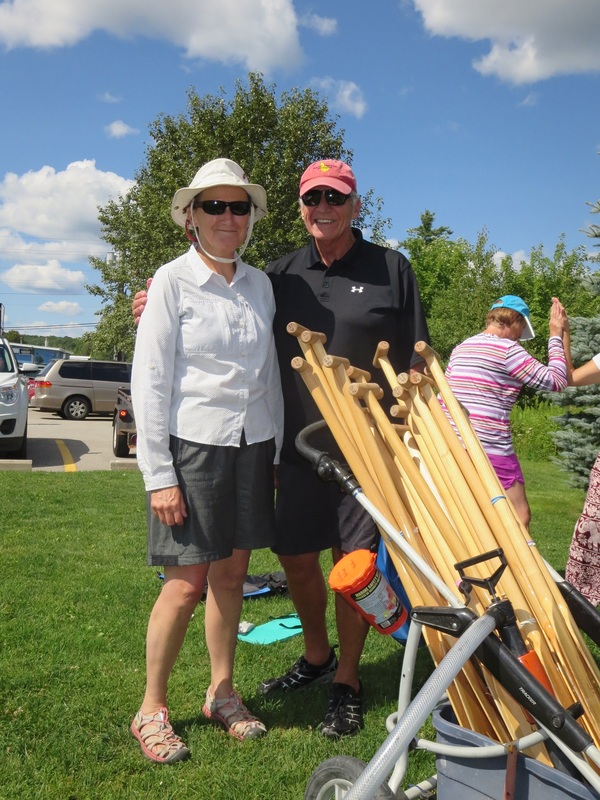 A steering clinic, coached by Scotty Boyd and Lois Deacon, was held over 2 Sundays in 2017. 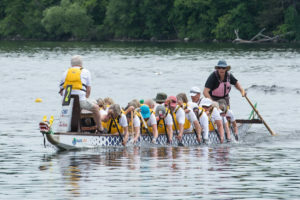 Six members took a shot at steering the “Foo” while she was paddled by volunteers from the club. 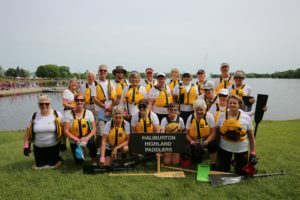 The Haliburton Highlands Paddlers entered 2 festivals in 2017. 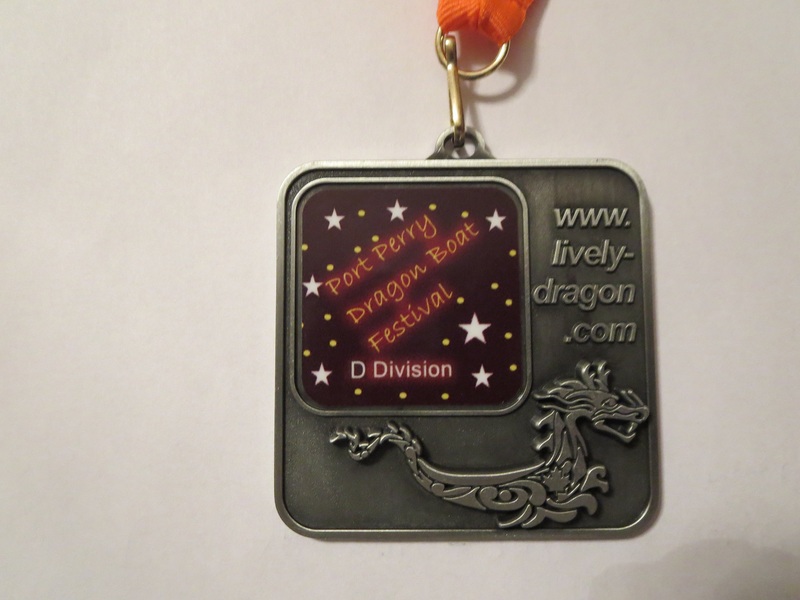 At the Port Perry Festival in June, we won a silver medal, division D.
The Barrie Festival was held at the end of August on Lake Simcoe. We entered an all female crew. 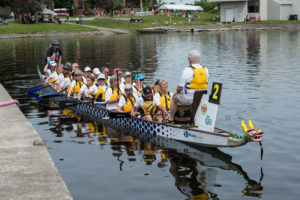 Our final time was the second fastest finishing time of seven women’s teams. Our Coaches Appreciation Dinner is always fun. 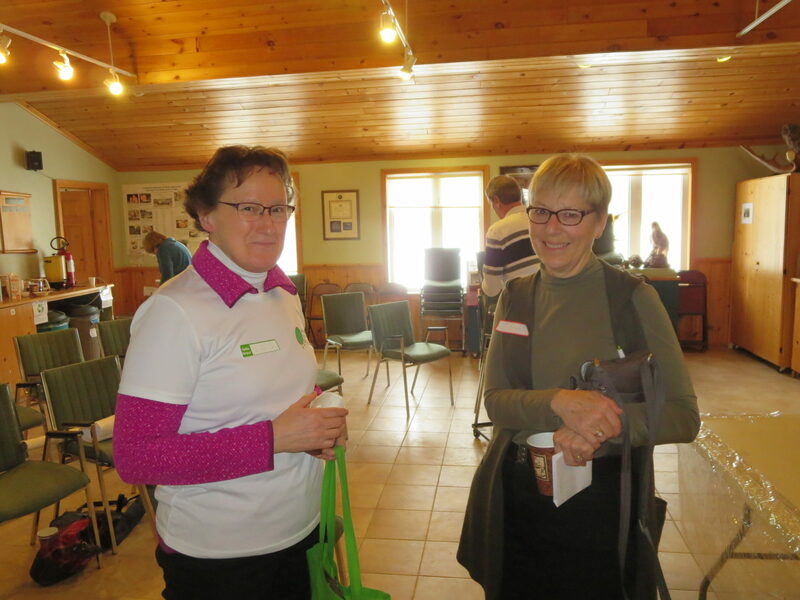 It was held just before Labour Day so our cottagers could also attend. Into the Blue Bakery provided the delicious, fresh made in a wood fired oven, pizza and salads. 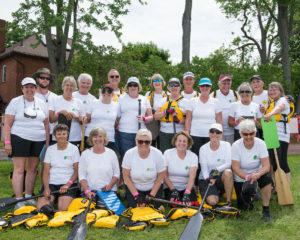 There was a slide show of some of our members’ adventures in New Zealand when they entered the World Masters Games, together with paddlers from IBDB – a Lindsay Dragon Boat team. It was a great season, with close to full boats for each practice time. 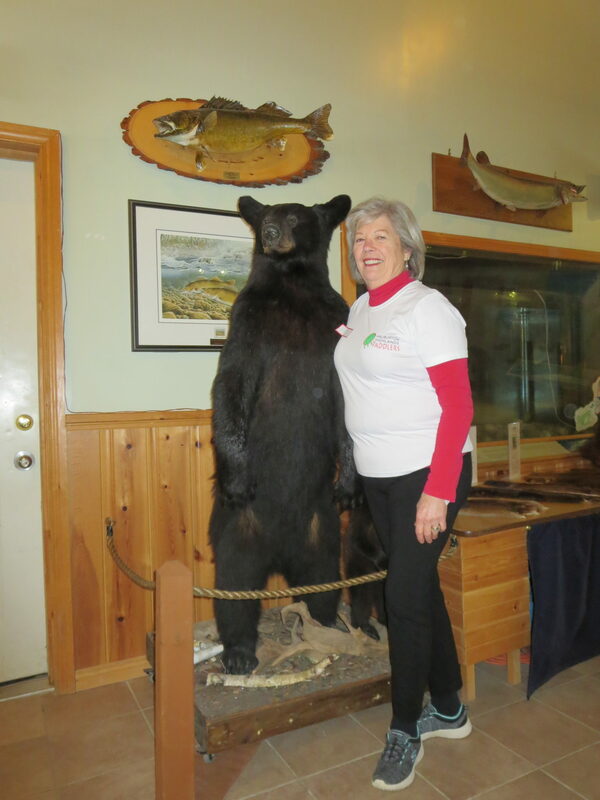 Carolynn Coburn presented greetings from the Haliburton County Community Co-operative and explained our role within this organization. Our Equipment Co-ordinator, Phil Meades, updated us on the state of the Susannah Foo. Given her age, 23, she is looking good. That is thanks to the volunteers who worked on her for about 6 weeks last Spring. A question came up about how long the Susannah Foo would last. The answer cannot be known but because of her age and the fact that she is a wooden boat, we will probably need a new boat in the near future. 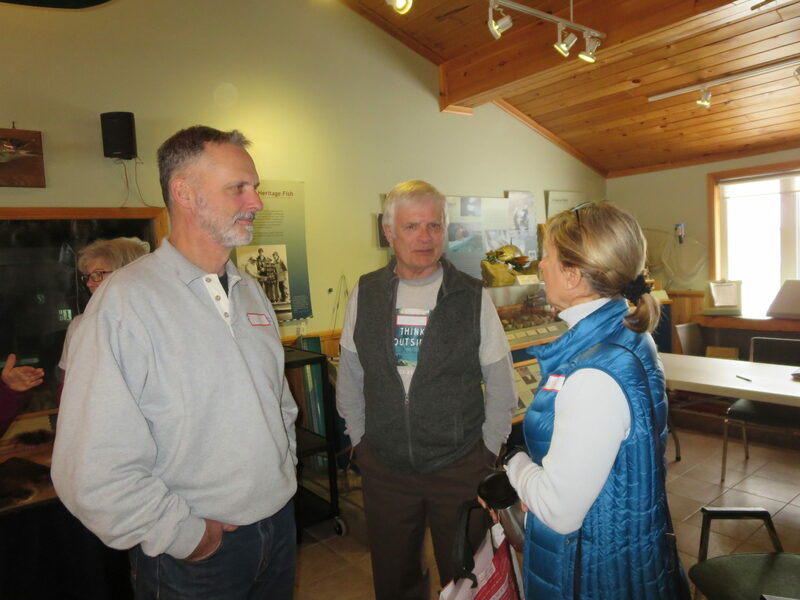 The club has created a reserve fund for the purpose of purchasing a new boat. 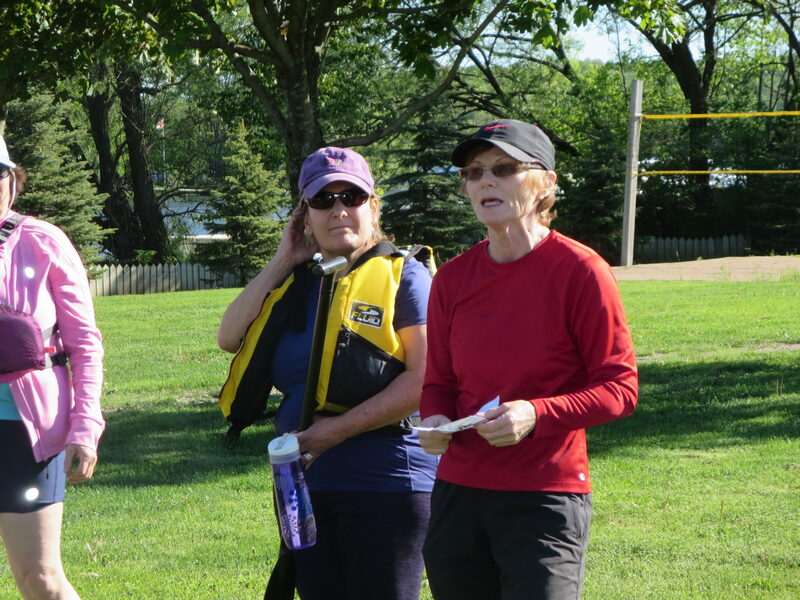 Carolyn Ellis spoke about festivals the club would like to enter for the 2018 season. 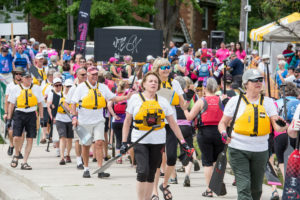 The Peterborough Festival to be held on June 9th is a large festival that supports equipment purchases and procedures for diagnosing and finding cures for breast cancer. 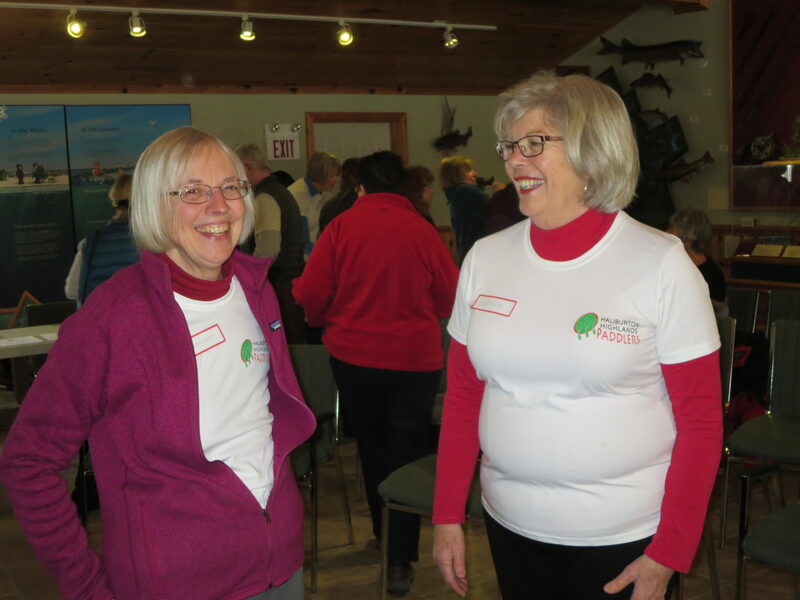 By the end of our Open House, 18 members had signed up for the team to enter the Peterborough Festival. 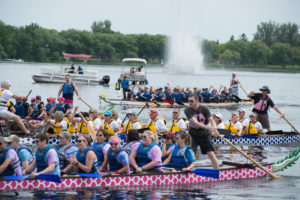 The Barrie Festival is to be held this year on August 25th. So far 5 people have signed up for this festival. We are looking for someone to volunteer to coordinate our entry into this festival and act as Team Captain. If you would like to volunteer, let someone on the management committee know. And finally, the raffle was held. Ten guest passes worth $15 each were drawn. 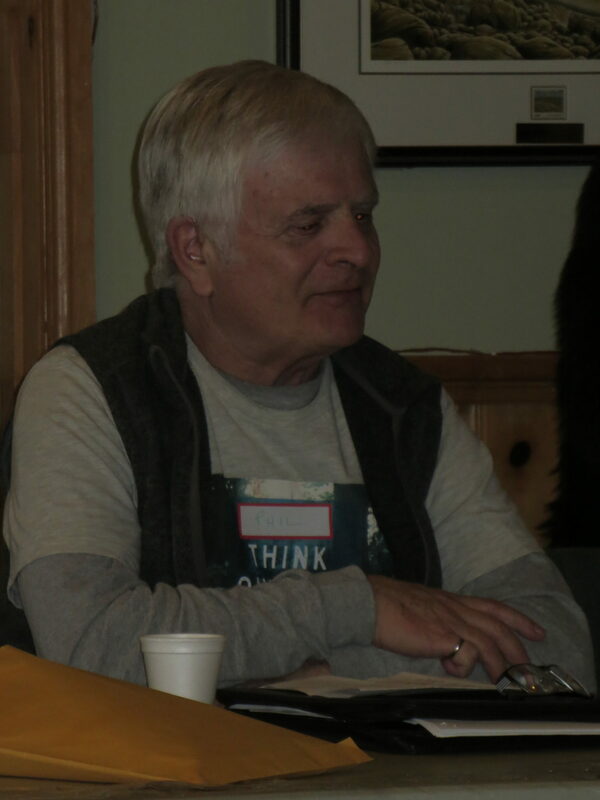 Tony Taylor was the winner of the Grand Prize – a free membership for the 2018 season. 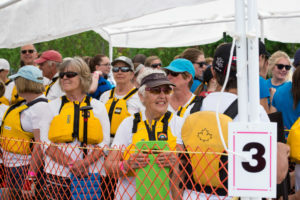 It was a popular win since Tony is the driver of the truck and trailer that moves the Susannah Foo around as necessary when she is out of the water. A heartfelt thank you to our ongoing sponsors. 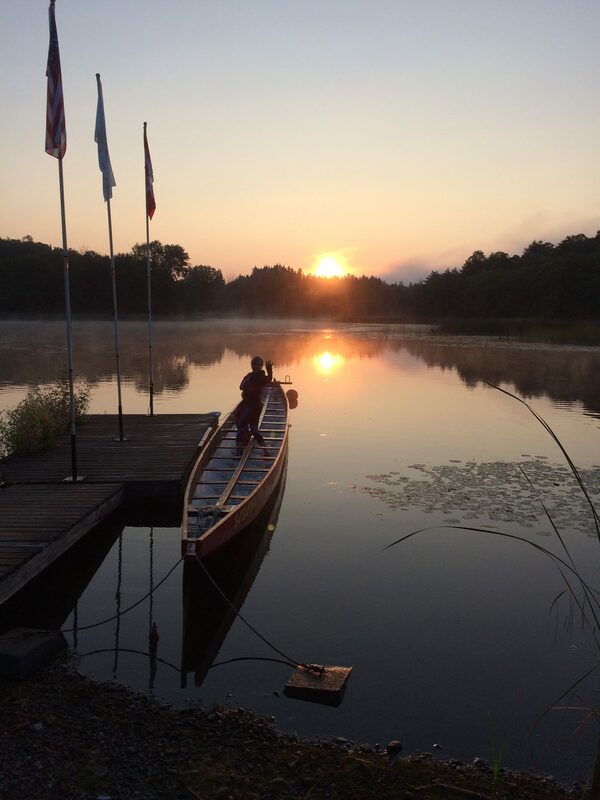 Patient News – where we dock the boat during the summer. RPM – where we launch and take out the Foo and store her over the Winter. TechnicalitiesPlus – for creating and supporting our club Website. 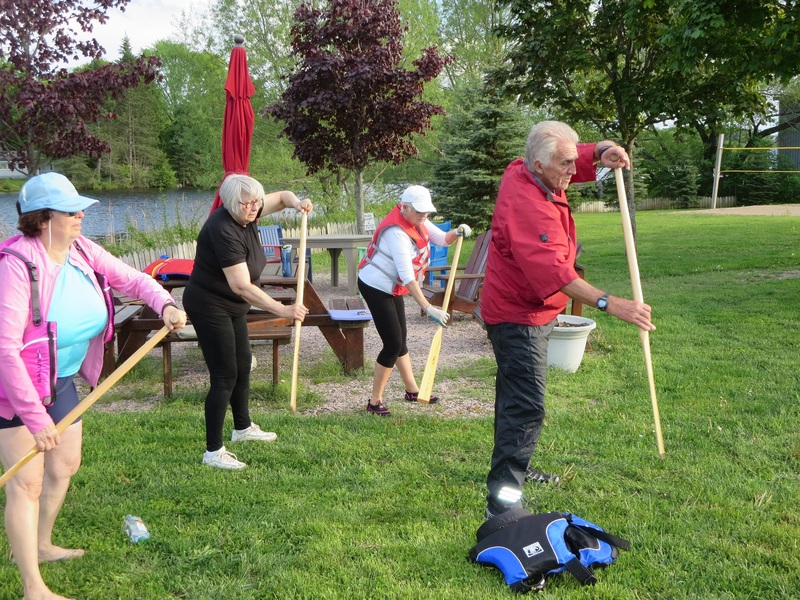 Minden Curling Club – for the use of their facilities when we need to work on the boat. We welcome you to join us for our 4th Annual Open House. 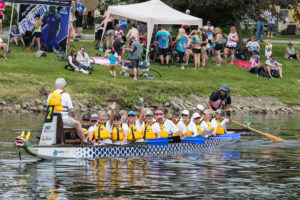 Come, bring your questions and learn about how you can enjoy the great sport of Dragon Boating in Haliburton. Only 68 days until HHP’s 2018 Open House Kick-Off! 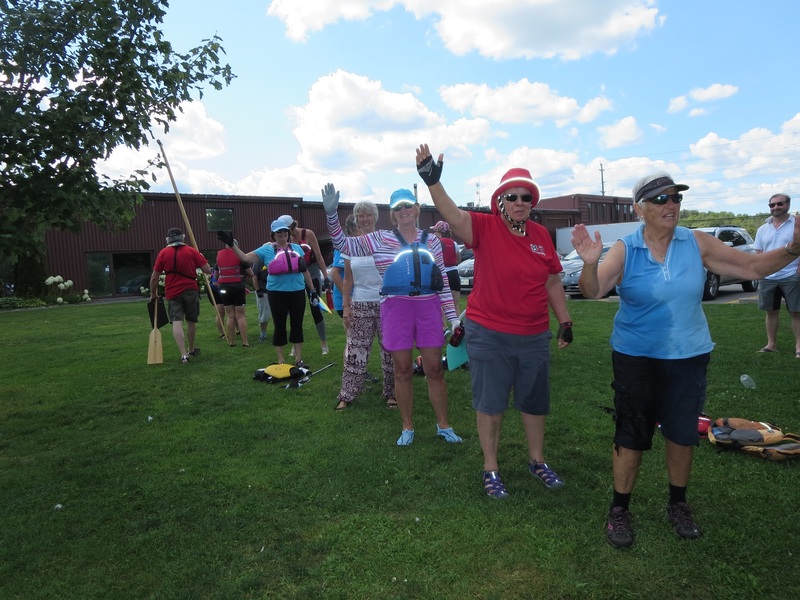 This is to let you know that the 2018 version of Haliburton Highlands Paddlers Annual Open House, will take place on February 4th, 1:30pm, at the Fish Hatchery. Full details will follow closer to the event. Join us on February 4th to be involved with planning the 2018 season and to take advantage of our great door prizes. 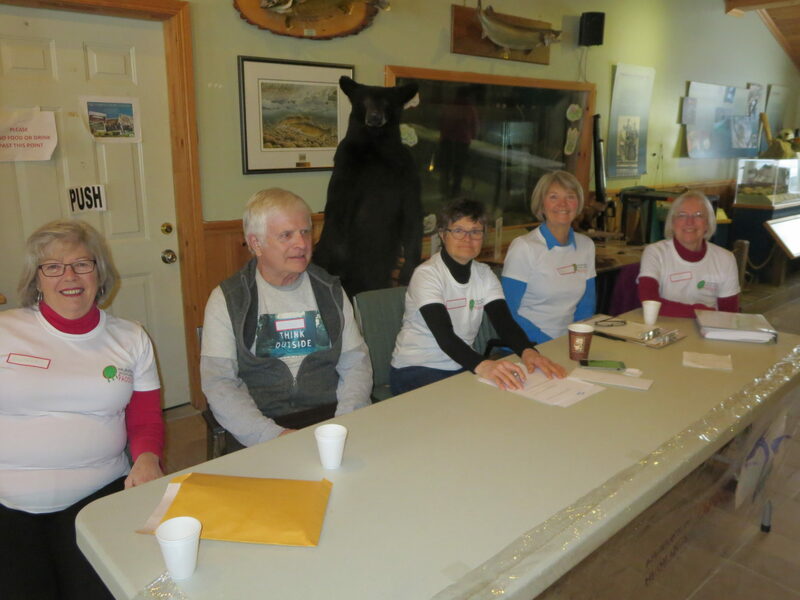 Please consider volunteering to help with festivals, or joining the management committee. 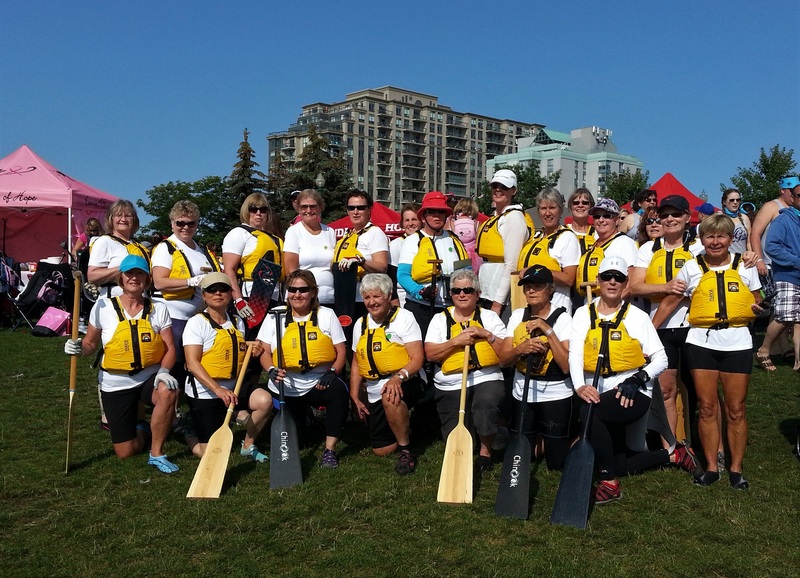 Bring a friend, all “new” paddlers are welcome!